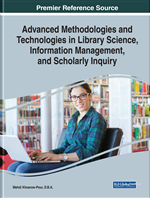 The chapter provides a comprehensive overview of digital literacy, looking at the theoretical and ideological construct of the term from functional and critical perspectives. Digital literacy as a heterogeneous concept is claimed by diverse stakeholder disciplines such as education, communication studies, English, media studies, library information studies, and computing. The chapter underlines the complementary notions of digital literacy couched in both “conceptual” as well as “standardized operational” definitions and sheds light on the shifting implications of global digital literacy. From this perspective, it scans the global landscape to understand the diffusion of digital literacy and to show how the concept is tackled within disparate contexts of use. The chapter also highlights contemporary issues associated with the spread of digital literacy, including challenges of cross-cultural digital literacy and digital divide. In 1981 The Washington Post first pioneered the concept that demanded “special skills” to use and manage computers (Warschauer 111) and invented the term “computer literacy.” Later, extension of the term “literacy” included “information literacy,” “digital literacy,” and “media literacy” to broaden the idea of skills. Paul Gilster (1997) in his pioneering book, Digital Literacy, popularized digital literacy as a shorthand for understanding and using information in multiple formats “from a wide range of sources presented via computers” (p.33). He operationalized and extended the term throughout the book, postulating that “digital literacy is about mastering ideas, not keystrokes” (p.1)—a call to attention between a “special kind of mindset or thinking” and “limited technical skills” (Bawden, 2008, p.19) premised on tasks and performances on the other. According to Gilster, digital literacy is about developing a critical approach toward using digital sources and forming awareness about our “expanded ability” (p.31) to connect with people and information using these sources. Over the years, digital literacy has addressed the split through skill and knowledge perspectives. Evidently, the skill construct affirms the neutrality thesis of technologies in which technologies are understood as means or instruments that need to be learned; conversely, the knowledge model ascertains technologies as more complex systems, not free of social, cultural, and political biases.